Winston Churchill, known for powerful prose, undaunted persistence, and uncompromising ideals lead Britain and world through the largest conflict in human history. Now set your course with David D’Arcy into the storm, and a study of the man whose name is known the world over, but whose essence is lost in the fog of history. 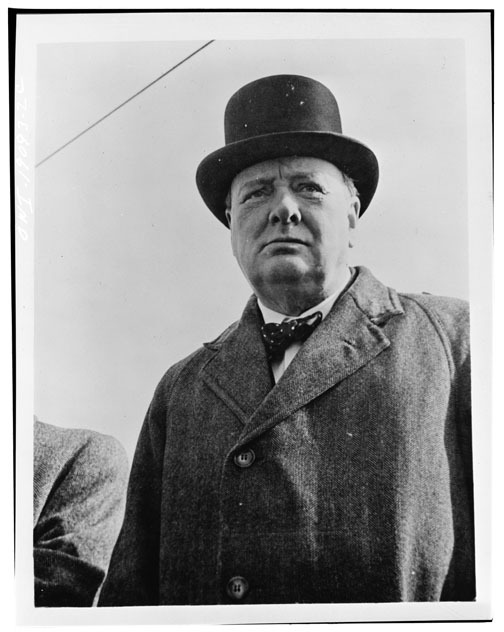 This Independent Minds radio hour follows Churchill in World War II from his appointment as Prime Minister through the victory of the allies to his defeat at the hands of a grateful nation. Historians, John Keegan, John Lukas and Andrew Roberts ; journalists Michael Lind, Max Hastings and Gretchen Rubin join David D’Arcy with politico Patrick Buchanan, actor Brendan Gleeson and screenwriter Hugh Whitemore. Laced with Churchill’s original speeches and new dramatic sequences from the upcoming HBO film, Into the Storm is a portrait in the irony of history. Perfect for broadcast in the Memorial Day weekend. Distributed through PRX.ORG, Content Depot or by CD upon request. If you have questions or would like more information, contact Matthew Long-Middleton at Murray Street <mlm@murraystreet.com> or 800-793-1673. "Churchill inventor of Middle Eastern geography,"
"The way you view Churchill is a reflection of you and what you want to find"
Writer/ producer/ host David D'Arcy is a journalist and critic who has been covering the cultural scene for NPR for almost 20 years. He is a frequent commentator on the arts for the BBC Radio program, "Front Row," and a correspondent for London's "The Art Newspaper." Senior editor Ben Shapiro is an award-winning radio and television producer, editor, and program consultant, whose work has appeared on NPR, the BBC, and CBC. Senior producer Steve Rathe is the honored creator of NPR's Jazz Alive, Future Forward, HEAT with John Hockenberry, Jazz at Lincoln Center and the Independent Minds series. Executive producer Matthew Glass is CEO and chairman of Grand Central Marketing, who brings nearly 25 years of marketing experience to creating integrated promotional campaigns and developing strategic partnerships for clients. INDEPENDENT MINDS: Into the Storm - Winston Churchill is an hour-long special.